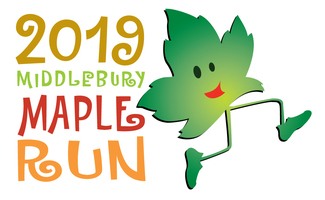 This is the 11th year of our beloved Middlebury Maple Run! Thank you for volunteering, many of you have shared your time and energy for many years and we appreciate your loyalty! You've helped us raise funds for local charities that make a difference in Addison County. We are on track to welcome 800+ runners and their friends and families to the race again this year, maybe more being the 11th year. BUT we can't do it without you, so please sign up for a job, time, and place that suits your schedule. We are so grateful for the energy and generosity of all of our loyal volunteers! SHARE in the fun.... send this link with a friend you think might enjoy helping too, you can sign up to work together which is way more fun right? The runners have always been so grateful for the enthusiasm and attention to safety our volunteers provide. THANK YOU! Volunteer check-in will be held on Friday, May 3rd between 4 to 6 p.m. at Middlebury Town Offices, large conference room, in the heart of downtown Middlebury. This is not a formal meeting--just stop by between 4 and 6 p.m. and we'll give you final details for your assignment, answer any questions, and give you your FREE race day volunteer t-shirt! Please put this date on your calendar! Register Runners Race Day! Also hold the pace per mile signs at the start of the race. Break down registration tables and set up under food tent. Serve as helpers as runners come to the start area and direct them to where they need to go. Direct cars to general parking lots and not parking along Chipman Park street. Follows last runner through the entire race, releasing volunteers on course, and picking up all cones and mile markers along the course. Direct vehicles to Rt. 30 on Morse, South Street is closed for race. Keep the water at the finish line restocked, empty garbage containers as they fill up.